I recently heard someone refer to September as “the new January”. And I have to say I agree! September has always marked the beginning of a new year for me more so than the first of January. September brings falling leaves, cool, crisp breezes and the feeling of cozying up to something new. It is a month of refocusing and recalibrating after basking in the freedom of the warm summer sun. In the spirit of refocusing we collaborated with energy rebalacer Amelie St. Pierre of Liberate your True Self to create the Refocus Ritual Pedicure. A luxurious beauty ritual curated to ground oneself and inspire vision, focus and clarity to move forward with passion. 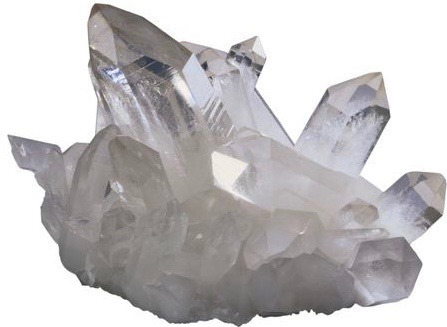 Clear Quartz, a stone useful for stimulating the crown chakra, the gateway to the expanded universe beyond one’s body, is one of the most beneficial crystals for bringing more clarity and focus into one’s life. Clear quartz shines the light on what is important and where things might be amiss. Quartz helps to align body and mind, which facilitates clarity of thought and speech as well as reception of intuitive information. Kambaba Jasper helps one let go of fears in order to transform one’s life and encourages one to reach deep within to find hidden talents and capabilities they may not have known they possess. Jasper is a powerful grounding stone. It helps one let go of negativity and energizes and sustains the physical and energetic body. Combining the properties of Clear Quartz with the nurturing and empowering properties of Jasper will help one adjust their inner and outer environment for increased harmony. Frankincense Essential oil – An oil of enlightenment, inspiration and introspection. Experience the calming, stress relieving properties of this essential oil in a warm facial compress during your pedicure. Clear Mind Tea – An herbal, organic tea designed to awaken the mind, spark creative ideas and help with tasks and decision making. Our Ritual Pedicure features extended massage time and facial compressing for deep, thoughtful relaxation.